That's me in a big way this year. 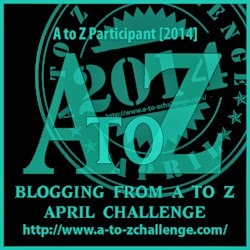 You see, I've signed up for the Blogging from A to Z Challenge. Along with 2,000+ other bloggers - yes, more than 2,000! - I'll be blogging daily starting with the letter A prompt and ending with Z at the end of the month. Why do something like this? Well, the best way to boost your blog traffic and get notice from search engines is to post meaningful content on your blog regularly over an extended period of time. This is proven. The blog I'm working with was created to support a book title, the first in a trilogy, and deals with environmental themes, as well as murder and romance. So my goal going through the alphabet will include topics I might be writing about in the series. I'll also be reporting my daily word counts and hope interaction with other A to Z bloggers will inspire me, and maybe even garner a few new friends. Are any of you reading this post planning to join the A to Z venture? What is your blogging focus in April? Do you regularly blog about the book you're working on? Do you find it helps you stay on track with your writing goals? Leave me a message. 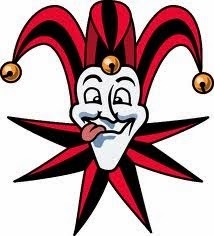 And feel free to call me an April Fool if you wish! 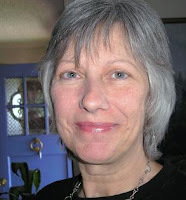 Dani Greer is founding member of this blog, and will be blogging like a mad fool all month, as well as finishing a prequel to her planned trilogy. Visit her at News From Nowhere, Facebook, and Twitter. I don't even have today's post up yet! Ack! Hi Dani .. I'm now into my fourth year of doing this .. so it's great to have you along .. I'll be sure and visit your blog too. Does it have a special name on the list? Great idea, and one I wasn't aware of. Timing's not great for me, but I must have a look at the brief and see if I can manage this. Thanks for the introduction, Dani. No time for the A to Z challenge for me. I"m determined to finish my WIP. I made a major change on it for the better, but that is delaying me more than I wish. '...post meaningful content on your blog ...' Ah, there lies the rub, Dani. Oh, Chris. Meaningful or not, you are always entertaining. I want to know about your music and your band. There's your prompt! I'm having a difficult time doing my weekly blog at the moment. A daily blog would short circuit my brain, but it sounds like a fun adventure. What a *brilliant* way to use the A-Z opportunity! I may steal it when it's time. Thanks, Dani. I'm too much of a stick in the mud to change my blogging focus, so no, I'm not participating in the challenge. I've been writing articles on formatting for this week and next, and I have my usual recipes on Wednesdays and photo field trips on Fridays. I suppose I could stretch things and try to find a way to make them fit the alphabet, but frankly, I've got a book to proofread and get up for sale, and another book to write. I don't need to confuse my poor little brain with anything else right now. Terry, you're one of the most on-task people I've ever met. Good for you! Don't fix anything that ain't broken. I'm doing it too, Dani. I'm featuring an author, a book, and a word of the day for each letter of the alphabet, and striving to keep my posts as short as possible by just dangling tidbits of information. A was a bit long. I'll do better as the month goes on. I've joined the challenge so I'm in your fool boat. It's great fun though ..more so after Z. --Thanks for stoppin' by my blog.